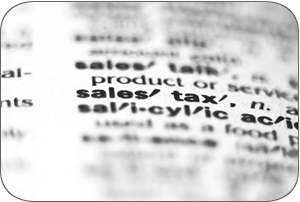 New York SBDC Research Network: Is it subject to New York State sales tax or is it exempt? Is it subject to New York State sales tax or is it exempt? Whether sales of a particular good or service are taxable may depend on many factors. Sales of tangible personal property are subject to New York sales tax unless they are specifically exempt. The term tangible personal property means any kind of physical personal property that has a material existence and is perceptible to the human senses (in other words, something you can see and touch). You should not collect sales tax on exempt sales that do not require an exemption document. However, for sales that require an exemption document, you must collect sales tax unless you receive a properly completed exemption document from the purchaser.